I know I have not been blogging very much, I have been super busy with work, and I finally have 2 days off, however I am still blogging, I just made a new blog over at blogger, I use to use it back when I was teenager, and it was just a lot easier to make the blog how I wanted it without have to pay a ton of money to customize! I hope that all my amazing follwers will continue to follow me over there for the same kind of content and posts! The knotted trend is back, this was popular in the 90’s, this time this trend is being worn in a more classic way, and taken on a lot more than just the classic knotted shirt. This trend is also being seen with long and short skirts, which is probably my new favorite way! You may shy away from this trend if you don’t like to show any skin, however there are many ways you can wear this with little to no skin showing! What do you think, glad this trend is back, or are you still unsure? Want to know why summer is one of my favorite seasons? Besides the warmer weather, swimming pools, beach days, and all that other good stuff, summer is my favorite season because…. COLOR: Summer is the one season that gives you an excuse to go crazy with color! 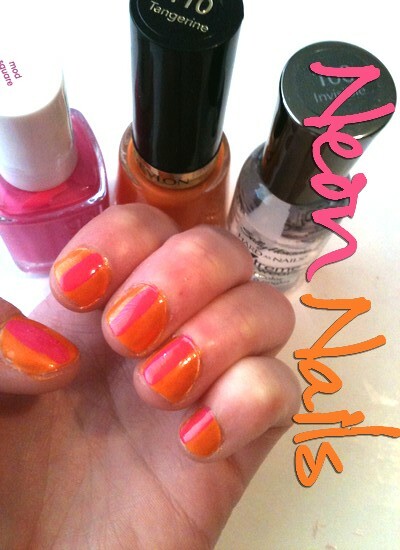 With summer just about official being here I thought I would share this simple colorful nail tutorial! With any nail tutorial, first things first, always apply a base, it will make the color go on smoothly, followed by a layer or two of your favorite neon shade you own. 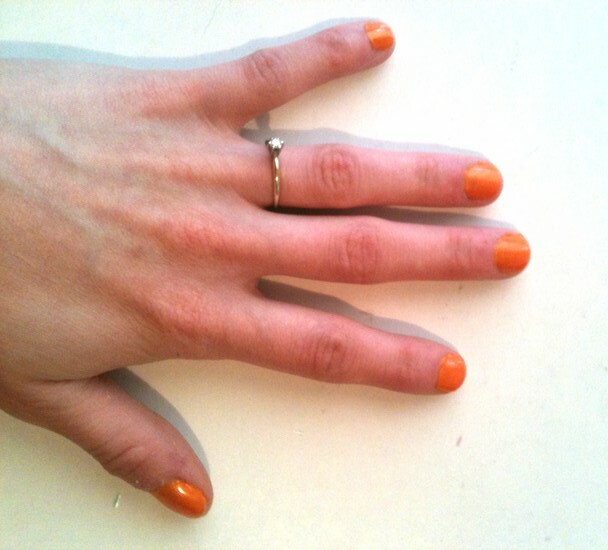 I used a creamy bright orange from Revlon called Tangerine, perfect for this summer! Wait about 10 minuets until it’s completly dry before moving on to the next step! You can add any type of stripes you want, I choose a simple thin stripe not quite in the middle of my nail, more to the outter right side of each nail! (The color I used for my stripe in Essie’s Mod Square) This is what you need a somewhat steady hand for, as long as you wipe most of the excess nail polish off the brush before applying to your nail you should be just fine! If you just never have any luck with doing designs on nails, you can always take a piece of tape and cover the part of your nail you don’t want the stripe to be a paint the part uncovered by the tape! 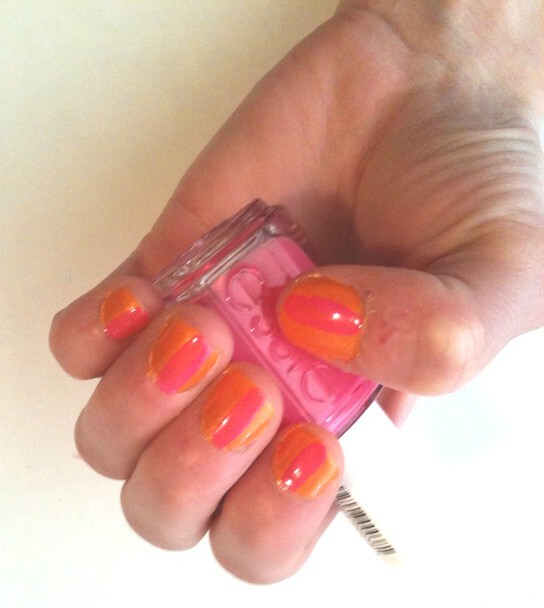 Step 3: Add your top coat! I hope you enjoyed this nail tutorial, you can make this your own, but using any color, and then adding a stripe to each nail with another color! Link your nail tutorail post in the comments below I would love to see them! For so long my hair has been a long nasty mess, I finally got some color, and a whole lotta hair cut off, well not a whole lotta, but it;s a about to my shoulders, so before I got it cut, I would just throw some hair to side and stick a bobby pin in it. Now that I got my hair cut I have only been leaving it down and straight! 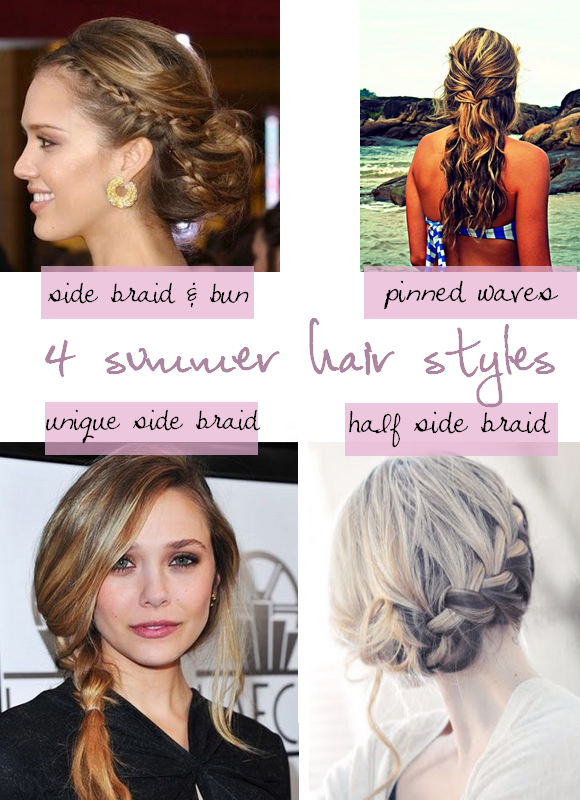 There are so many hairstyles out right now, so I thought I would show you some of my favorites that I want to try on my hair, I just don’t like spending a lot of time in the morning, and I think these are perfect! Have any more hairstyles? What are your favorites? 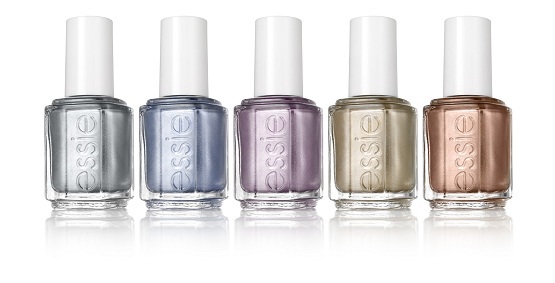 Metallics are so back in for summer, be sure to check out the new Essie Mirror Metallics Collection coming soon to stores! I think my favorites will be “penny talk”, which is described as an incandescent copper, but I feel like it’s more of rose gold, which I love! I also love “Blue Rhapsody”, this is described as a heavy metal blue, it’s more of a silver blue but I love it! Are you excited for this collection as much as I am? I love metallic colors, they are just as much fun as all the bright colors that are in for the season! 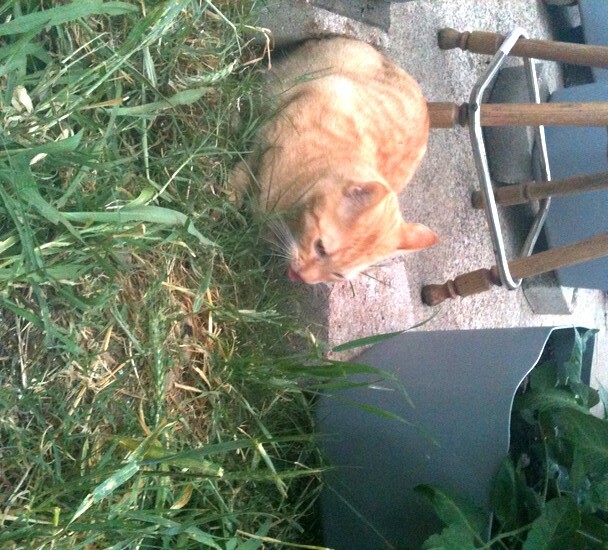 Today I thought I would introduce my animals, I have not talked about my animals or mentioned them in any posts yet, yesturday I was outside with ALL of them, and yes ALL of them… I have 3 cats and 1 dog! They are my kids for now, and I love them all more than anything, they all have such different personalities! 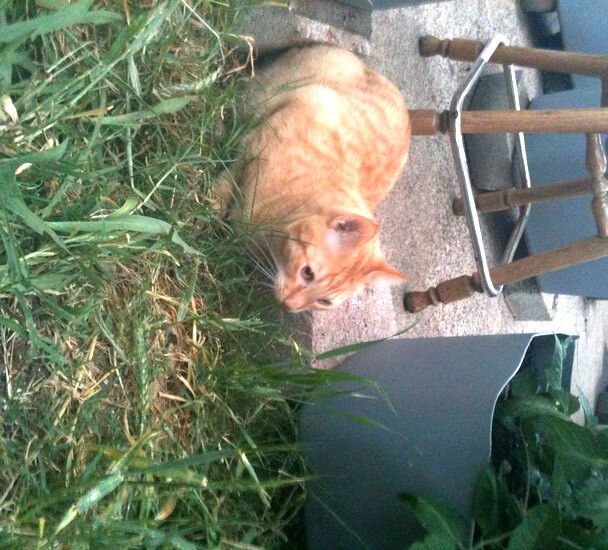 That up there, that is Spot, we got him over a year ago from a Vet, who’s pervious owners brought him in after he was in a car accident and couldn’t afford the hospital bills, after he recovered we went and got him, he acts like he never even broke his leg, when we first got him he had a hard time walking on his front leg, now he jumps all over the place and loves to dig! Then there is Simba, he is the first animal me and Justin got together, we came home from our first day of college to find him on our couch, he was a present from my dad, who found him outside not even a month old, so I’m really glad we have him, although he acts more like a dog than a cat, he even fetches! 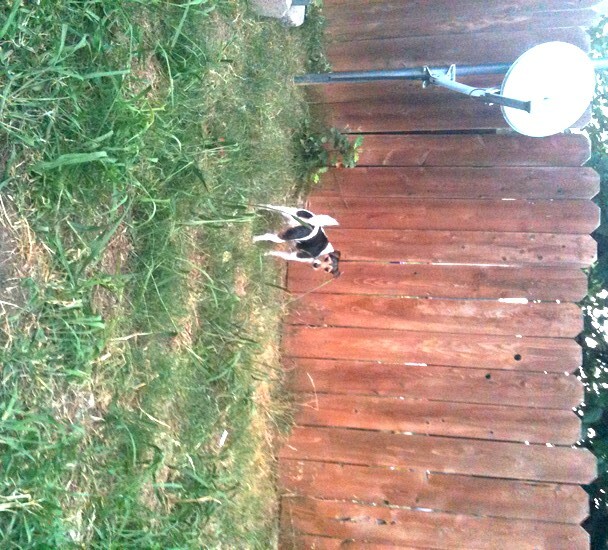 Up there is Rocky, we got him just about 3 years ago, we found him online for free and went to see him, and just fell in love. The lady we went to see to get him, her husband found a litter of cats abandon in a home they were demolishing, they still had their umbilical cords in. 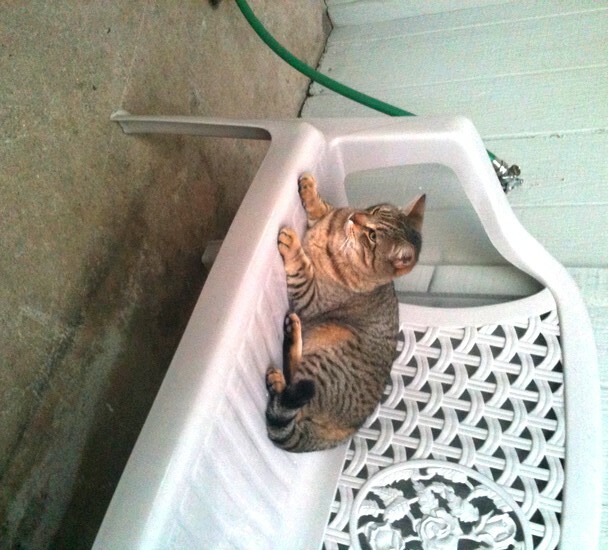 Rocky is a little mamas boy so I play a little favoring to him, since the other cats are pretty independent! This is Rocky again, but I had to include this one because if you can notice he is sticking his tounge out, and I thought it was such a cute picture! 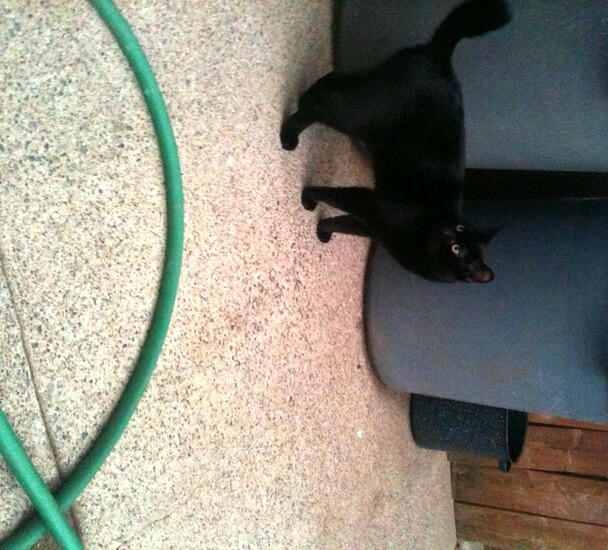 This is our newest edition, we try to call him black bear, but we did not have a name for him for so long that we have gotten accustomed to calling him “little kitty”, or “little black kitty”. He is another rescue from off the street, abandoned my sister when she was staying with us for a little while actually hid him in her closet and while she was at school I heard a meow, and looked in her room, and then found him in her closet, and at first I didn’t think we needed another animal, but he was so small a cute, and was such a lap kitty which I love, so we had to keep him! I was going to wait until the first day of June to post this, but I just couldn’t wait, I thought this DIY Father’s Day card was so cute not to post yet. I think this would be such a cute project to do with your kids, I don’t have any kids, but I love coming up with cute and fun craft ideas for kids! Scissors, glue stick, different letter stickers, or whatever else you want to add to the front! 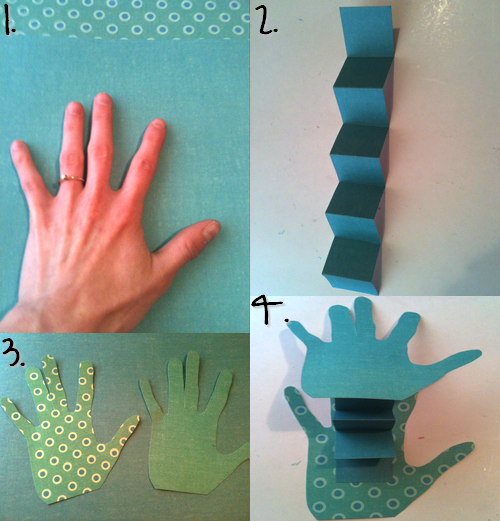 Step 3: Take your 2 hands you traced and cut, and glue each end of the paper you folded to the middle part of each hand. Step 4: Add your letters and stickers make it fun and unique, use what you have, you can go simple like I did, or you can add glitter, draw on it, or anything you want! 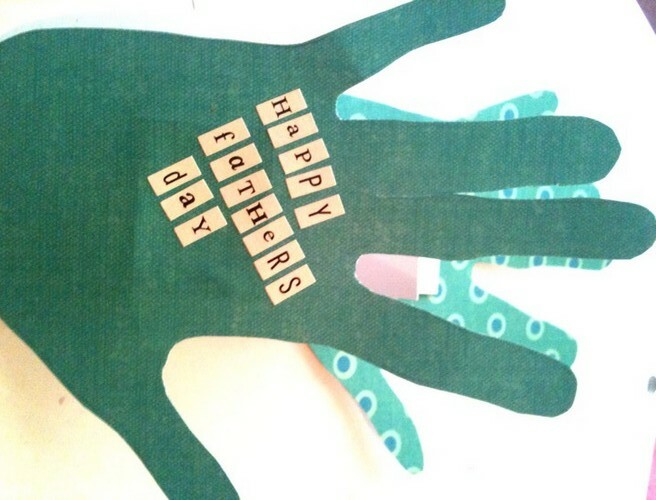 What kind of arts and crafts do you do in honor of fathers day? Link your posts below or link them when you add them!